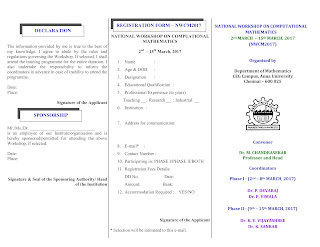 The Department of Mathematics, Anna University, CEG Campus ,Chennai has organized the National Workshop "Computational Mathematics (NWCM2017)" on 2nd-15th March, 2017 . To build a strong background on Computational Mathematics applied to various fields of Engineering, Medicine, Finance and Science. To popularize and project the scope of Mathematics and Computer Science in proper perspective thereby enabling young talents to take up research. 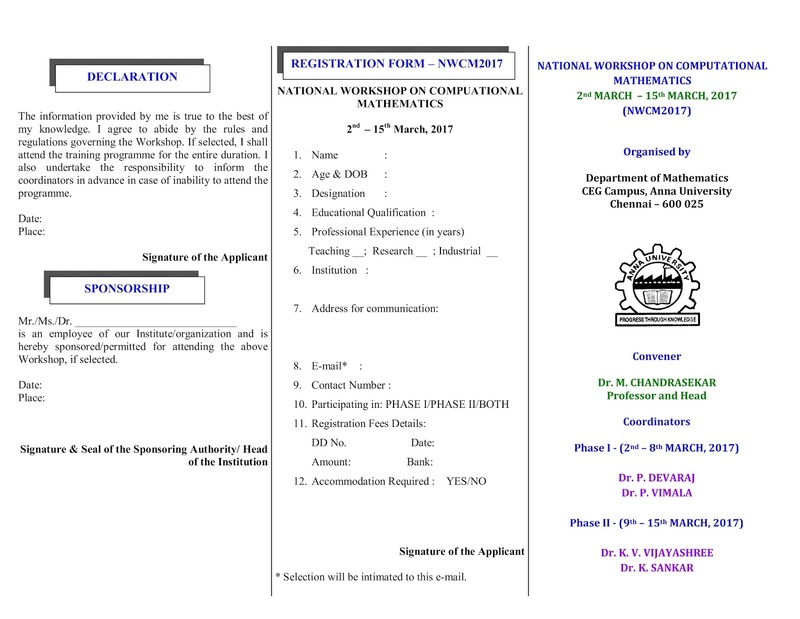 Interested persons are requested to fill up the application form in the prescribed format and send it to the Coordinator's address given below to reach by on or before 31st January 2017.